Home » Prints of panoramic images of Malta for promotion or personal use. This collection of panoramic images is continually being updated, with new images posted typically every week. All these images are for sale and if you would like to use any of them for your own personal or business purposes below are a few ideas you may wish to consider. Our state-of-the-art prints ensure that perfect reproduction in rich, saturated and vibrant colours using ECO-solvent U.V. ink is guaranteed with each print. Large format printing on a variety of media, in both indoor and weatherproof materials is available for your personal as well as business promotional scope. Order your own unique message on a panoramic photo and we’ll create custom sized stickers for you. PVC mounted frames with a collection of panoramic images of Malta will certainly adorn your offices’ corridors or boardrooms. A perfect gift to that visiting business contact, and ideal corporate gifts especially when combined with our custom branding printing. Also available in canvas mounted on an 8mm PVC frame for enhanced texture. The high resolution images enable us to produce high quality posters of practically any size. Promote your business overseas with stunning images of Malta. Also available for mounting on glass (eg: partitions, shop windows etc). We can print these images on a number of flexible materials to form banners for your business fairs, meetings and conferences. If you would like that personal touch on your print, or your company logo or message, we can discuss your requirements and customize the image printing accordingly. 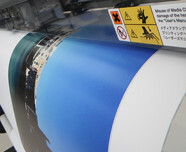 A 120 x 37 cm PVC mounted print costs only € 140.00 (VAT Included) ! Due to the various types of materials and sizes available, please contact us with your requirements and we will revert with a quotation shortly.